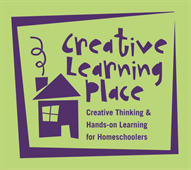 Welcome to Creative Learning Place Inc.! Please complete the following registration form. Creative Learning Place is not responsible for your child between classes. It is the parent's responsibility to arrange for supervision with other parents or caregivers. Please enforce this rule with your children to ensure their safety. In addition, please advise your children not to bring anything of value to CLP including electronics. If something is broken, it is not the responsibility of CLP to pay for repairs. If I am not pleased with any aspect of CLP I will talk with my child's teacher or Karen rather than vent with other parents. We make every effort to solve challenges. We don't bite. Promise! CLP is built on mutual respect for all parties involved. Students, Parents, and Teachers. In the rare case that this model is compromised through a conflict of any kind we will attempt to resolve the challenge through a friendly dialogue with all parties involved. If a resolution cannot be reached it may be deemed that CLP is not a suitable learning environment for a student. CLP does not have the staff to monitor major behavior challenges. If a student exhibits difficulty with behavior in a class room, the parent will be notified and this may result in the CLP staff determining that CLP is not an appropriate learning center for this student. CLP is a video-game-free and video-free environment. Online educational learning programs, such as Compass Learning or other software parents and/or charter schools are using with students, may be used. I give my child permission to participate in Creative Learning Place classes and I give Creative Learning Place permission for my child to be photographed, videotaped and audio taped for educational purposes and/or publicity for the program. I give permission for my child to receive emergency medical treatment if necessary and I understand that Creative Learning Place cannot assume responsibility for injury or death. I agree to hold harmless Creative Learning Place and all Creative Learning Place employees from any liabilities, demands or claims for damage. I have read the parent handbook and I understand that if my child is part of a charter school (other than Inspire Charter Specialty Program) it is my responsibility to make sure the PO is turned in within the first two weeks of class. If you enroll your child in a class and wish to drop it after the first class you will be charged for one class but not the remainder of the session. There will be NO refunds after the first week of class except for special emergency circumstances. Please choose your classes wisely! If you commit to a class, you must pay for the entire session. The registration fees are due with registration unless your child is a student of Inspire Specialty Program or your charter school will be paying the registration fees. The fees are: $50 for the first child, $40 for the second, $30 for the third and for students taking one class. The forth child and above are free. Some teachers will ask students to do projects at home. I will support my child in this home learning opportunity. When a student does not complete class assignments this affects the entire class. If my child will not be in class or will be late I will inform CLP. I will check my email regularly for last minute changes in schedule and respond. I understand that emergencies happen. If a class is cancelled we will make every effort to provide a make up class.